For over 30 years, the Urban Justice Center has fought for the rights of some of the most marginalized people in our city, our country, and our world. Today, we'd like to share with you some of our incredible successes from 2018, which show the resilience of our clients, the integrity of our staff, and the myriad of areas we work in. I won’t sugarcoat it — I believe our democracy is endangered. New regimes of cruelty are tearing families apart at our borders, while the old signs of fascism have gained new life in streets and statehouses around our great country. But in the face of these terrible forces, new forms of resistance are blossoming, and the Urban Justice Center is dedicated to helping them grow. For the last three decades, we’ve supported cutting edge legal projects, but today, we’ve made it our official mission: We provide a platform for dynamic advocates to fuel social change, leading the way for a just, fair, and decent society. What does this mean? Well, for one thing, it means that we are gearing up to launch up to five new Projects in 2019, each focusing on an underserved community in danger. Through our new Social Justice Accelerator, we’re inviting the next generation of change makers and thought leaders to become part of the Urban Justice Center, as you will see further down in this report. It also means we've embraced a new look and a new logo for 2019, as you might have already noticed. As our long-term supporters, you’ll be some of the first to get a peek at our new logo, colors, and design. We were guided through this process by incredible pro-bono work of the branding firm Superunion, and I’m certain you’ll love the results as much as we do. In 1989, 17-year-old Heath Phillips was a fresh-faced Naval recruit, eager to serve his country. Once on his assigned ship, however, he was sexually and physically assaulted by a group of six other sailors. Despite repeated reports to his superiors, Heath was given no support or chance to transfer. After 48 days of unending assault, he escaped – only to be arrested, returned, and assaulted again. Four more times, Heath ran away only to be returned to his attackers. Heath went AWOL one final time, beginning nearly two decades of alcohol abuse and PTSD, with no support from Veterans Affairs. I do not know how to thank vap enough for sticking with me and being a huge part in this. never did I think I could win. Incarcerated people rely on phone calls to connect with loved ones. Profiting off that bit of human connection is cold and dehumanizing. To be part of the team responsible for restoring that love is righteous. It makes me feel I didn’t forget those I left behind. UJC makes it easy to plan your future. We are announcing up to 5 new projects in January 2019. 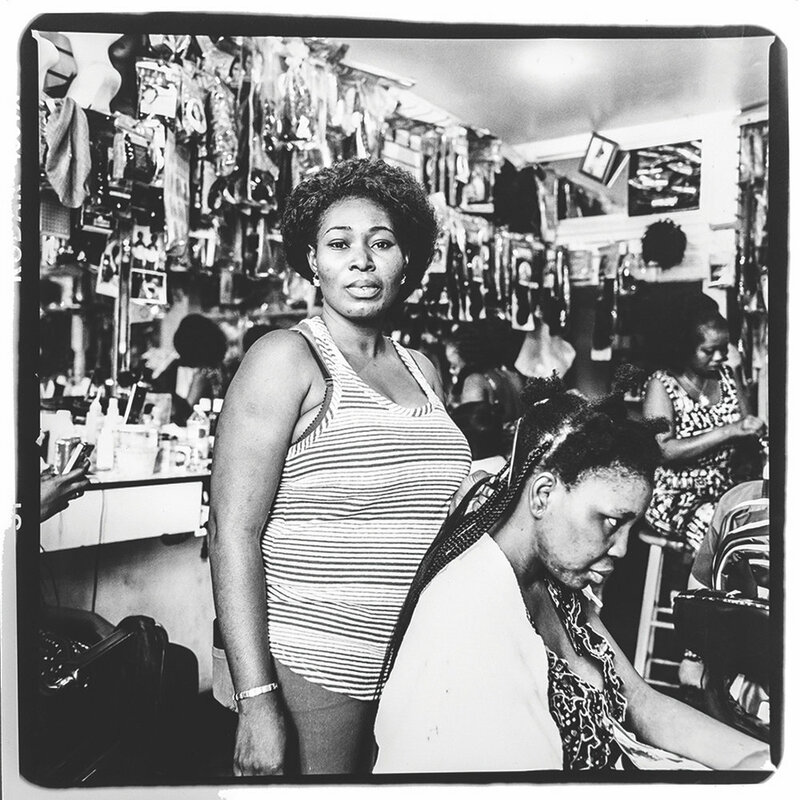 Earlier this year, UJC was honored to exhibit original photos from the Jerome Avenue Workers Project, an initiative of the Bronx Photo League at the Bronx Documentary Center. The Bronx Photo League is made up of 16 Bronx photographers committed to documenting social issues and change in the borough. This exhibition celebrates the workers and trades people of Jerome Avenue, one of our city’s few remaining working class neighborhoods where many still make a living in small shops and factories, or repairing automobiles. For more information about the Bronx Documentary Center, please visit bronxdoc.org. The Jerome Avenue Workers Project exhibition was displayed in our office via Art@UJC, our ongoing series of social justice related art exhibits. If you or someone you know is interested in exhibiting with Art@UJC, please contact art@urbanjustice.org. Sylvia Rivera Law Project, Inc. The Robert M. Schiffman Foundation Inc.